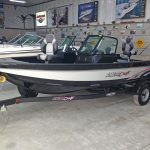 2019 AlumaCraft Competitor 185 Sport. 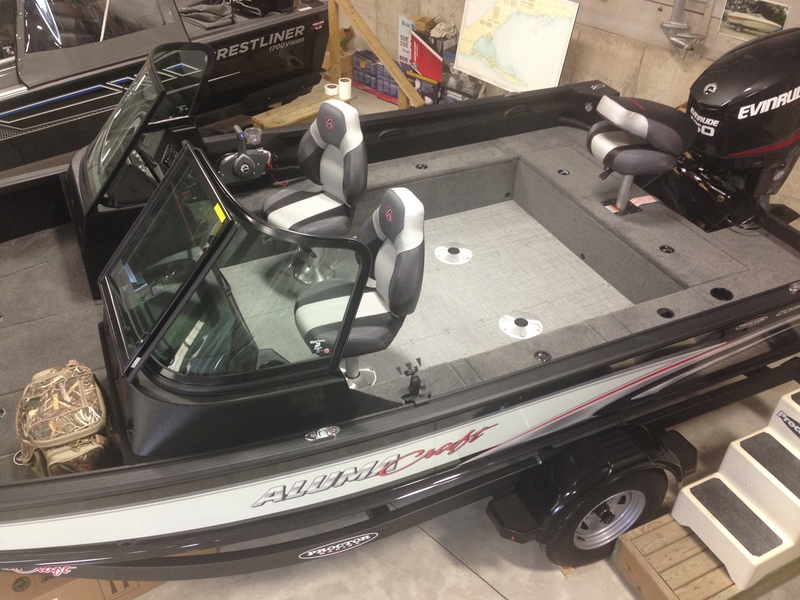 Powered by a direct injected Evinrude 150 E-Tec V-6 and packaged with a matching Shoreland’r bunk trailer. Black Crystal and Olympic White. 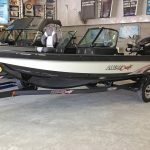 Alumacraft’s Competitor 185 Sport is a purpose-built, multi-species fishing boat with the all weather comfort of a walk through windshield. 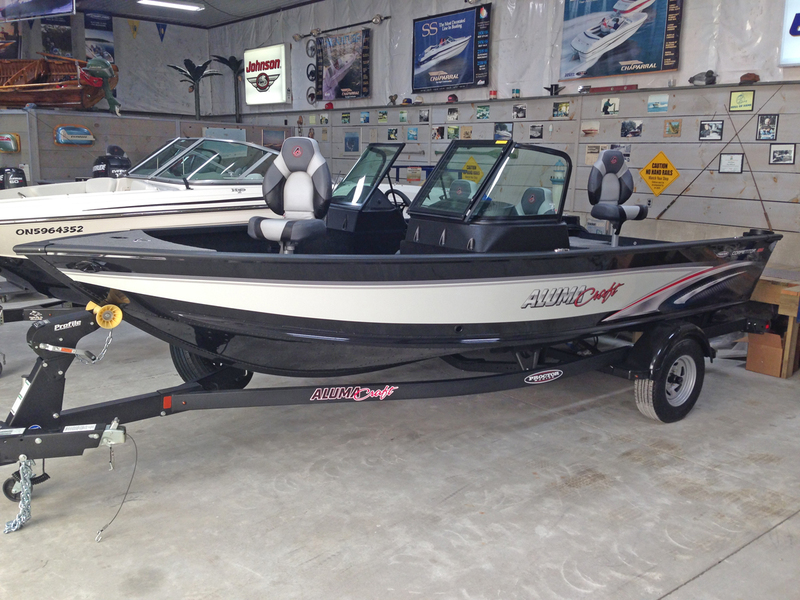 Dual aerated live wells with timers, two 8′ rod storage lockers and an “electronics friendly” helm station attest to its fishing prowess. 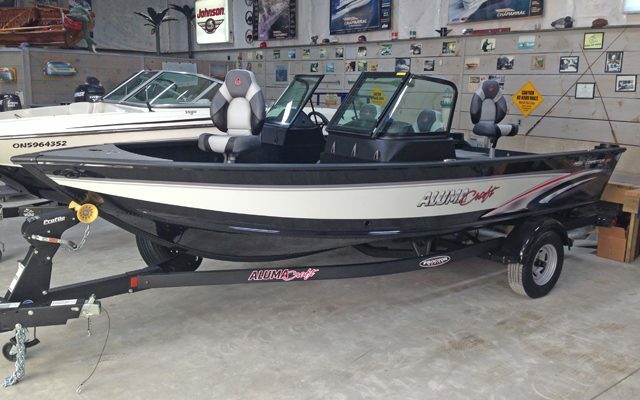 Comfort features include hydraulic tilt steering, AM/FM stereo with Bluetooth, sliding helm seat, a stainless steel boarding ladder and even a built-in cooler. Measuring 18′ 8″ and boasting Alumacraft’s 2XB double plated hull, the Competitor 185 rides high and dry in Lake Erie’s challenging wind chop. There’s no need to be isolated in the bay on windy days if you fish from a Competitor 185 Sport! 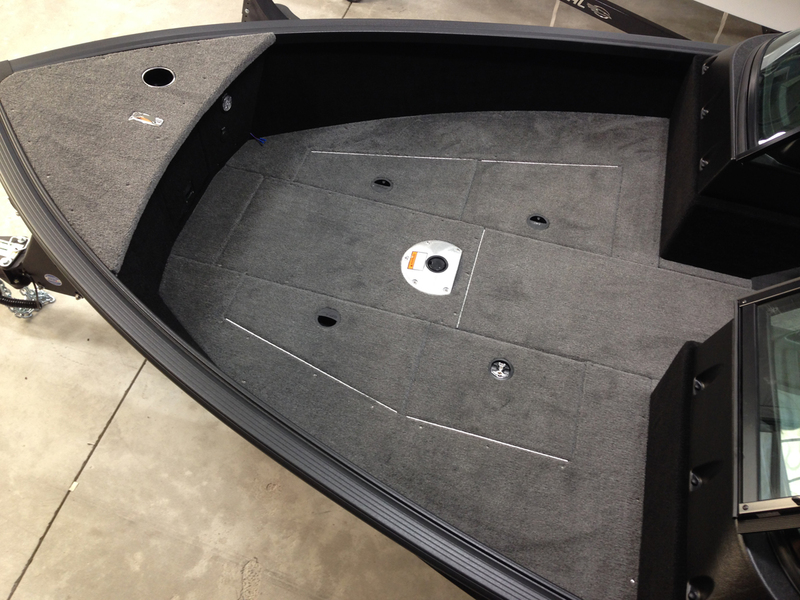 We think that the Aluma Trac gunwale accessory system is the best in the business. 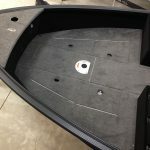 Quickly and conveniently re-position your rod holders, fender cleats or a vast assortment of other boating accessories without the need of any tools with Aluma Trac exclusive accessories. 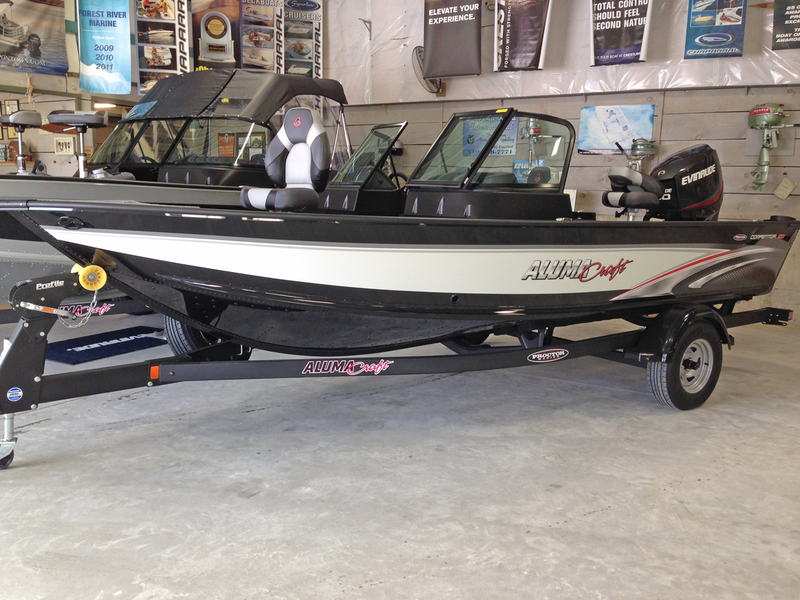 The Evinrude 150 E-Tec is the perfect match for the Competitor 185. A direct injected V-6, the 150 out-pulls the 4 cylinder four strokes that compete in this horsepower category. 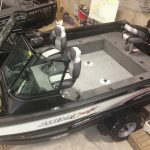 The Evinrude E-Tec idles smoother and trolls slower too!